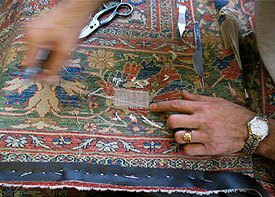 Antique Rug Company has served Persian rug repair needs for Hollywood since 1980. Call us for in-person inspection of your rugs at our showroom and workshop or to schedule a pick up from your premises. 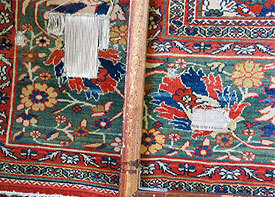 Antique, old, vintage, collectible, family heirloom or new, all handmade rugs are valuable works of art. 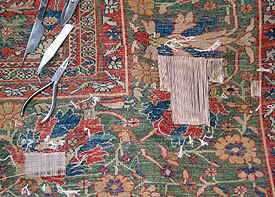 Rugs should be cared for and maintained regularly as they are used. We recommend following the maintenance and conservation suggestions listed at our RUG CARE section of our website to help maintain your rugs in their best condition for years to come. 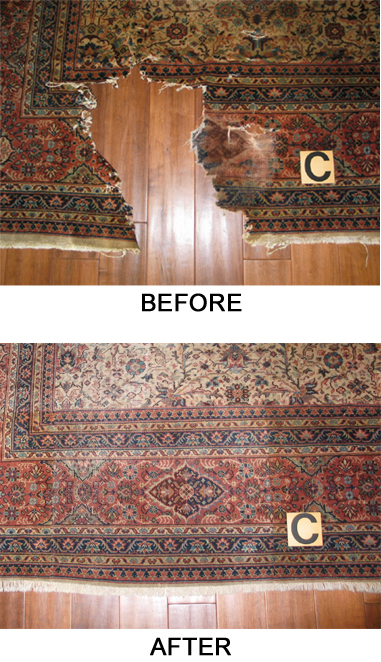 But when accidents happen and cause rug damage, it is advisable to seek expert repair advice early and steer clear of furthering the damage. The knowledgeable rug restorers at our workshop will provide you with maintenance, repair and restoration consultation and options.